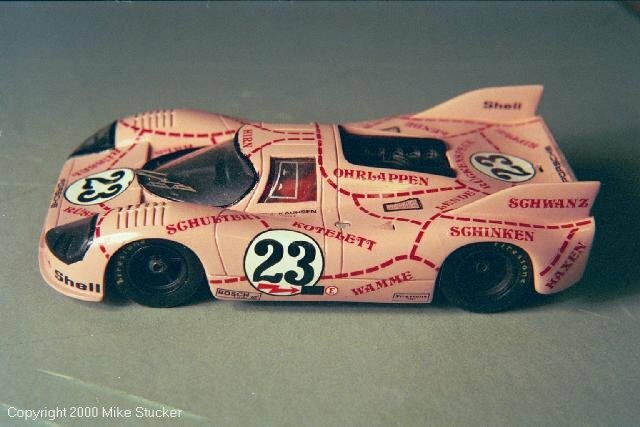 This is the Porsche 917/20 that raced in the 24 Hours of Le Mans in 1971. It gained the names “Pink Pig” and “Truffel Jager” after someone noticed it looked like a pig and was then painted in butchers cuts. 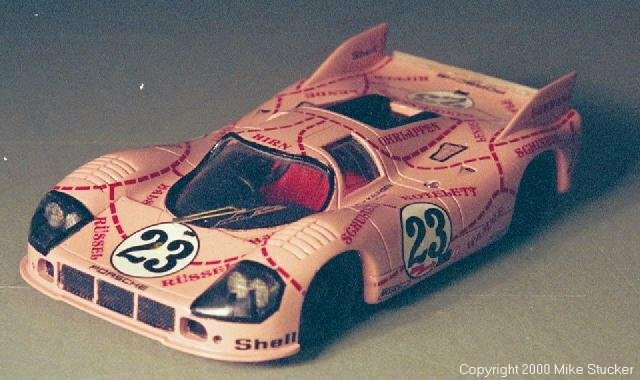 Resin kit from Starter of 1971 Le Mans racer.